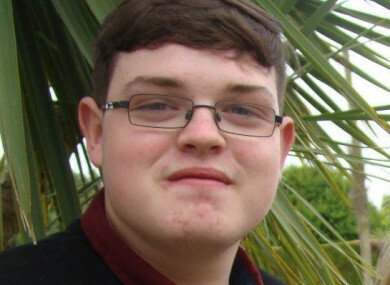 OVER €111,000 has been raised online to help send a Cork teenager to the US for brain tumour surgery. 17-year-old Aaron McMahon was diagnosed with a chordoma brain tumour in February 2017 and has since been told by Irish doctors that his condition is terminal. He needs urgent surgery on his brain in order to survive. Speaking to The Neil Prendeville Show on Cork’s RedFM, Aaron and his parents Gail and Paul explained that the treatment in Ireland isn’t sufficient and the application process for surgery is taking too long. However, they have made contact with the Chordoma Foundation in the US who have found a surgeon in a hospital in Pittsburgh that can perform the needed surgery in June. In order to book in for the surgery, a deposit has to be paid to the hospital by 30 April. However, as the fee was over €100,000, the family couldn’t afford it. Last week, the McMahon family made the decision to launch a GoFundMe page online to raise the necessary funds for the deposit. “I was fed up doing nothing, watching everything go by, knowing time was essential for me. I was stressed and I was just sick of everyone asking me how I was and putting on a fake smile for everyone,” Aaron said. Aaron’s father Paul explained how difficult it has been facing dozens of roadblocks in relation to his treatment over the past year and a half. “I’ve had moments in the car where I have pulled over on the side of the road and said why me? The kind of person I am is if we have a problem, we get a solution and we try to get options. We had no options,” his father said. Launched just six days ago, the fundraiser had reached just over €67,000 when the family spoke to RedFM this morning. It has now raised over €111,000. The family will be able to place a deposit on the surgery fee. Echoing the words of his father, Aaron said that the reaction to his fundraiser has been “overwhelming”. There’s a lot of weight off my shoulders. It’s overwhelming. I didn’t expect anyone to really get involved. I just put the story out there thinking no one would react. Aaron is currently undergoing pre-operative treatment in Cork, with the guidance of his neurosurgeon in the US. The funds raised will be used to cover the costs of his operation and post-op care, along with travel costs for both Aaron and his family. “The people of this country have given us this chance. The good news is we can sign a contract and send the money over to the hospital in Pittsburgh and get the operation done at the end of June,” Aaron’s father Paul said. Aaron McMahon’s GoFundMe page can be found here. Email “'I'm elated, relieved': Over €111k raised to send Cork teen to US for urgent brain tumour surgery”. Feedback on “'I'm elated, relieved': Over €111k raised to send Cork teen to US for urgent brain tumour surgery”.